The award winning restaurant offers unparalleled views. All you have to do is get a meal and stay for 80 minutes and you will have had a great aerial tour of Las Vegas. What would you give to enjoy 360 degrees views of Las Vegas at the height of 800 feet above the ground as you enjoy an eclectic, palatable dinner? Everything? Well, at the Top of the World Restaurant in the Stratosphere Casino, Hotel & Tower, you do not have to give a lot to experience this and more. 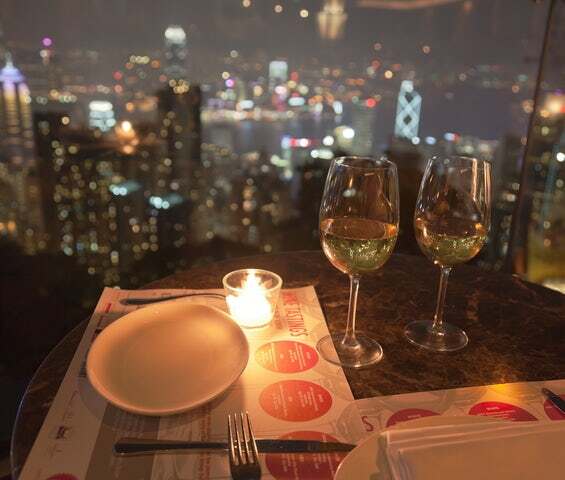 The award winning restaurant offers unparalleled views since every 80 minutes; it will have made 360 degrees rotation. All you have to do is get a meal and stay for 80 minutes and you will have had a great aerial tour of Las Vegas. Dining at the restaurant is divided into 3 categories namely; lunch menu, dinner menu, and drink menu. Expect to eat dishes such as braised beef short rib benedict and crab pepperdew Hollandaise or seafood omelet with scallops, shrimp and lobster for lunch. For dinner, you can expect dishes such as grilled portobello and buffalo mozzarella, smoked Atlantic salmon with brioche toast or seared jumbo lump crab cake among others. Your drinks menu will feature cocktails such as chocolate masterpiece, lemon drop, blue-tini, cosmic cucumber, salted karamel apple-tini, mango madness, white peach margarita, elevated sangria and many more varieties. The restaurant operates two periods of the day. For lunch, make sure you are at the restaurant from 11:00 AM to 3:30 PM daily, and for dinner, 5:00PM to 11:00PM. If you want to host a group of more than 8 people or want private dining, you are advised to make a reservation well in advance to allow the staff time to set up your table. To make a reservation, all you need to do is specify the date, the time and the number of guests you will have. The Top of the World Restaurant is a place any serious diner would contemplate dining at. If you are in Las Vegas, take the chance and dine here. It is an experience you will never forget. Click here to see what others are saying about the restaurant on Trip Advisor.